At one point Dell was the company you wanted a laptop or PC from, they were one of the best at one time, but as the years have past we didn’t hear much from the company and at one point I thought Dell stopped making PC’c and laptops. Dell is making a comeback Dell is helping customers touch the future with a refreshed portfolio of business and consumer PCs built for Microsoft Windows 8, designed to provide a more intuitive computing experience and address evolving customer desires. Today Dell is making available for three new PCs in its upcoming fall portfolio: the XPS 12, XPS One 27 and Inspiron One 23. The systems are currently available to customers in the United States and will be available worldwide in the coming days. 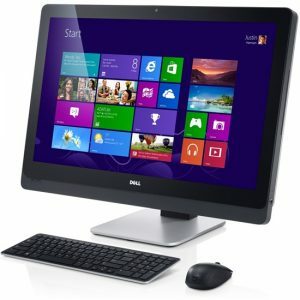 Further, Dell is offering Windows 8 as an option on its current XPS, Inspiron, Latitude, OptiPlex and Precision brands. “Dell and Microsoft have strived to make technology more accessible and intuitive for more than two decades and the introduction of new Dell PCs and Windows 8 software is another important milestone in this journey,” said Sam Burd, vice president of PC Product Group at Dell. “Dell remains on the forefront of designing the industry’s best range of PCs to meet the diverse needs of its customers – whether businesses concerned with security and manageability or tech-savvy consumers interested in a new device for both personal and business use. The XPS 12 is two devices in one: a fully-featured, full-powered laptop that easily becomes a fully-featured touch-powered tablet. 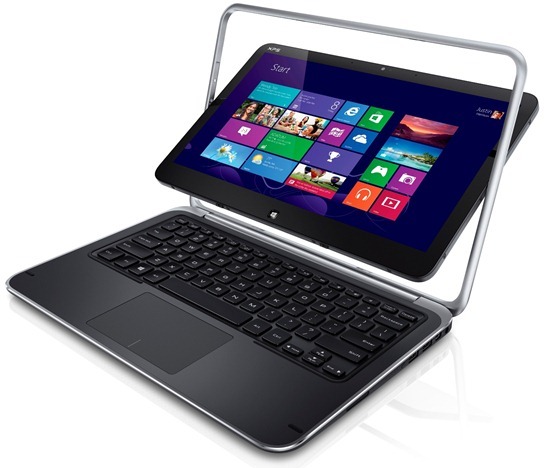 The unique flip hinge touchscreen display is elegant and innovative and easily transitions between laptop and tablet mode with a simple flip. When in tablet mode, the display completely covers the keyboard, protecting it from dirt and spills. The vibrant Full HD display provides 90 percent more pixels than a standard HD display for an exceptionally crisp reading and viewing experience. The award-winning XPS One 27 All-in-One is designed for creative enthusiasts with a super high resolution display and performance graphics for multimedia creation and entertainment. The gorgeous, space-saving design features a 27-inch Wide Quad HD Display, which has 78 percent more pixels than a Full HD display, and an articulating stand that tilts the display to a 60-degree angle, providing additional options when using the touchscreen interface. Whether one is designing a digital masterpiece or experiencing HD entertainment, the XPS One 27 delivers the power, sound, graphics and pixels for a brilliant multimedia experience. Dell is also updating its popular systems in time for the holidays. 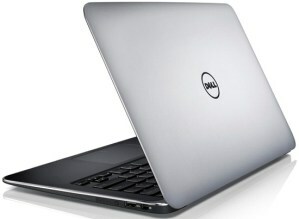 The award-winning XPS 13 has been updated with a new specification, including the Ivy Bridge chipset. As a result, the new XPS 13 is up to two times faster than the previous generation XPS 13.